Take a look around — you might not be able to see them, but they are everywhere. We are surrounded by forests of bacteria and microbes. And it turns out, that might not be such a bad thing. But our obsession with cleanliness could be. After wildfires in California, the cleanup process poses another health hazard. For some women from conservative Muslim families, US health care practices can clash with what they are used to. 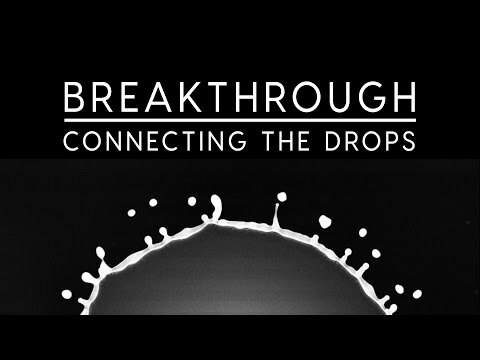 In the new Science Friday video “Breakthrough: Connecting the Drops,” Lydia Bourouiba and her team study how droplets travel when we sneeze, or flush the toilet. Lots of actors moonlight as waiters or baristas to pay the bills. Alex Kramer moonlights as a spy. BBC reporter, John Sudworth, has the latest form a small field hospital set up just outside Tahrir Square in Cairo. He hears from doctors treating the wounded after violence has broken out in the square. Faith and Fair Game news analyst Matt Pack present three new cigarette ad campaigns and ask you, the listener, to decide which are real. New York Magazine writer Po Bronson talks to Faith about new research that tries to discern how and why kids learn to lie. Fair Game's Ritch Duncan offers an unpopular opinion on the use and misuse of the Q-Tip. Call us with your problem and we'll answer you on next week's show. Faith gets medical advice from Dr. Salie, Fair Game's own private doctor. Harvard medical sociologist Nicholas Christakis talks to Faith about his study about how conditions such as depression and obesity is contagious. Faith shares her thoughts on the 10th anniversary of the drug Viagra.